The year 2018 was marked by the evolution of the company’s shareholder base, which now has two long-term shareholders, Caisse des Dépôts, which confirms its role as majority shareholder, and the RETHMANN group. With this reinforced structure, Transdev has embarked on the deployment of its new strategy, which is already bearing fruit, as evidenced by the refocusing of its activities on Business to Government (B2G) and the significant increase in its commercial successes, particularly internationally, where Transdev generates more than 60% of its revenue. 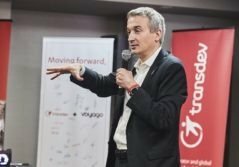 At €6.9 billion (up 2.7% at constant exchange rates), Transdev's revenue rose slightly, with good momentum in France (public transport and parking business), but also in Germany and Australia. Current operating income amounted to €115 million in 2018, while net income at - €96 million was deeply impacted by the strategic decision to strongly decrease Transdev's exposure to purely commercial activities (B2C) in the US and in Europe, the latter in the field of long-distance coaches. These reorientations are essentially reflected in asset write-downs, which mechanically impacted the Group's net income in 2018. At the same time, Transdev's net financial debt remained stable at €530 million at the end of 2018, with shareholders' equity of €934 million, allowing it to free up the financial room for maneuver necessary for its further development. 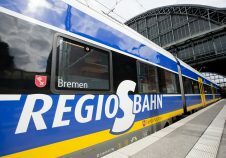 In Germany, among the most remarkable wins, Transdev won the €1.5 billion contract for the regional rail network in Hanover for a period of 12.5 years starting in December 2021. This victory demonstrates the group’s ability to offer quality and competitive offers to local authorities in the rail sector, particularly in major urban networks. In Sweden, Transdev was awarded a 10-year €258 million contract in Stockholm to operate the 48 bus routes in the north of the Swedish capital from June 2019, and to operate 15 ferry lines in the Stockholm archipelago over nine years, for a total amount of €110 million. In Australia, the Group won the €330 million consortium contract to supply, operate and maintain Phase 1 of the Parramatta light rail near Sydney. This 8-year contract consolidates Transdev’s position as the world leader in tramway operations, with 23 networks in eight countries. This gain is part of a highly positive development dynamic in Australia, since the Sydney ferry operating contract, worth €815 million, has been renewed for a period of at least 9 years. In Colombia, Transdev Colombia and its local partner Fanalca won a €900 million 10-year contract in Bogotá for TransMilenio, a dedicated bus service, the world’s largest Bus Rapid Transit (BRT) network, which carries 2.5 million passengers daily. At the end of 2018, Transdev also commissioned the TransMiCable urban cable car, whose interconnection with the TransMilenio allows the 700,000 inhabitants of the remote districts of Ciudad Bolivar to move more freely around the country’s capital. In the United States, the Group confirmed and extended its positioning in Washington D.C. (WMATA – Washington Metropolitan Area Transit Authority), with the renewal of its paratransit contract – in operation since 2013 – and the award of an US$89 million bus contract over five years. In 2018, Transdev also renewed its paratransit contract with Baltimore MTA (Maryland Transit Administration), which enabled it to double its activity there. In Canada, Transdev has been operating new bus networks in Montreal since last January on behalf of EXO, providing 2 million trips per year. In France, Transdev won several defensive tenders in 2018: Mulhouse, Auxerre and Arles, for example, have renewed their confidence in Transdev for the next six years. Among the notable offensive wins, the authorities of Nîmes Métropole awarded Transdev the operations contract for its public transport network. Transdev has decided to reduce its exposure in the field of BtoC activities. With this in mind, Transdev has announced the opening of exclusive discussions with FlixBus for the sale of its Eurolines - isilines long-distance coach activity. In 2019, Transdev will continue its investments in daily mobility as a partner of the public transit authorities. From a transport services operator, Transdev is evolving into a mobility integrator. 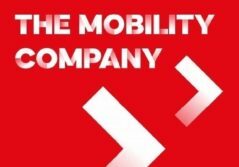 In this sense, Transdev Group is developing its MaaS (Mobility-as-a-Service) solutions for local authorities. For example, in 2018 Transdev and Mulhouse Alsace Agglomération opened the “Mobility Account” to the public, a first in Europe. Thanks to their Mobility Account, travelers can freely use all modes of travel available in the community area. With competition on the operation of regional train lines to be effective in France in 2022, Transdev will position itself on this key market. Transdev’s objective is to make the train a credible alternative to individual cars in daily travel. Reviving rail transport in France must also help to revitalize small lines, which are an essential tool in the fight against mobility deserts, as has been successfully achieved in Germany. Transdev will draw in particular on its experience acquired in Germany, Sweden and New Zealand. In order to fight actively against mobility deserts, Transdev is also developing transport on-demand solutions that complement traditional public transport offers, as is the case, for example, in Le Havre (France) with the FlexiLia service, which provides better service to companies in the industrial and port area. This need to strengthen mobility solutions in the communities is part of a strong investment in energy transition. In this respect, since March 2018, Transdev has operated the largest electric bus fleet in Europe in the Amsterdam region and Schiphol Airport for a period of 15 years. This is one of the largest contracts in the Netherlands, with an estimated turnover of €1.9 billion over 15 years. The Group is also a pioneer in hydrogen and fuel cell powered electric buses, with several projects (France and the Netherlands) to be launched this year. Autonomous and electric vehicles are also a solution adapted to certain urban areas. The experiment conducted in Rouen with the Renault-Nissan-Mitsubishi alliance is already a success. It will continue in 2019 with the launch of an autonomous shuttle, the i-Cristal, developed with French manufacturer Lohr. Transdev is also investing in autonomous mobility by forging strategic partnerships.